The question “what do veterinarians do?” is best answered when we say that a veterinarian is a licensed doctor who provides medical and surgical care for animals. A majority of the veterinarians concentrate on the study of a single class of animals such as horses, small animals, livestock, etc. Some of them choose to specialize in the fields of specific interest such as surgery, dentistry or medicine. Veterinarians look after the well-being as well as general health of animals, they perform a vast number of different veterinary services. They are trained to diagnose, treat injuries, and prevent diseases in animals. They provide care for animals including pets (cats, dogs, birds, fish, etc. ), livestock, laboratory specimens, zoo animals, racetracks, and stray animals from the wild. They serve to vaccinate pets, medicate animals that are suffering from diseases or are injured, set fractures and advise animal owners about feeding habits, behavior and breeding habits. Veterinarians are also equipped to euthanize animals when they deem it necessary. Often times a vet will have mobile veterinary clinic. They visit animals in farms/ranches (horses, cows, sheep, pigs, elephants, etc.) and advice the animal owners on housing, feeding and breeding issues. They also help in assisting births of young ones of such animals. A majority of the vets practicing in private clinics and specializing in treating a specific animal or a group of them has become increasingly common. They practice both in urban and rural settings. Their functions in the rural settings are geared towards pet care and herd management and production issues of farm animals. They can choose to specialize in areas of medicine such as dermatology, oncology, neurology, etc., which helps them further specialize in their veterinary career. Veterinarians choose to work with government agencies contributing to animal husbandry or agriculture departments’ activities. They supervise all issues related to import of animals, genetic material, vaccines, and animal products, among others. They are also actively involved in the supervision and management of quarantining controversial animal and animal product related imports. Veterinarians’ services are required in public health programs that are related to use of veterinary medicines/chemicals. They are also involved in certain food safety programs. At the governmental level, they are sometimes involved in research areas relating to production of vaccines and eradication of animal diseases both in laboratories as well as in the field. Veterinarians are sometimes engaged in basic research that is geared towards enhancing knowledge related to animals and their bodies. Veterinarians are involved in teaching veterinary science subjects to both undergraduate and postgraduate students who are aspiring to become veterinarians themselves. However, it takes a decade of experience for a vet to get a teaching post in the university. A veterinarian provides services to the pharma industry in areas related to research, development and marketing of medicines/vaccines for animals. They are sometimes placed in charge of the care and breeding of animals that are used for research purposes. They are also employed by the pet food industry. 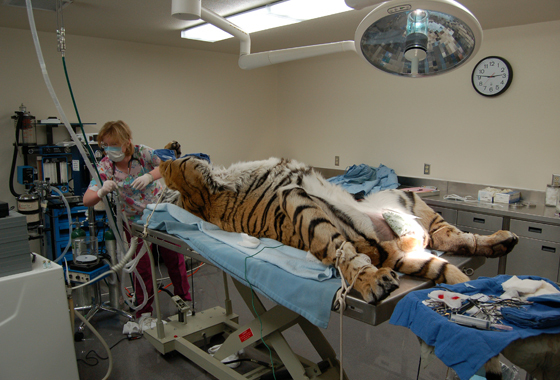 Veterinarians are employed in zoos and natural/wildlife protection parks for care and treatment of specific breeds of exotic animals as well as those belonging to endangered species among others. Veterinarians can specialize in gaining knowledge and treatment procedures about a specific breed of animal such as a horse, tiger, elephant, otter, bear etc. Some veterinarians are specializing in emerging animal niche areas such as aquaculture. There are a number of different jobs offered in a veterinary clinic, however the vet is actually a doctor of sorts, an animal doctor. 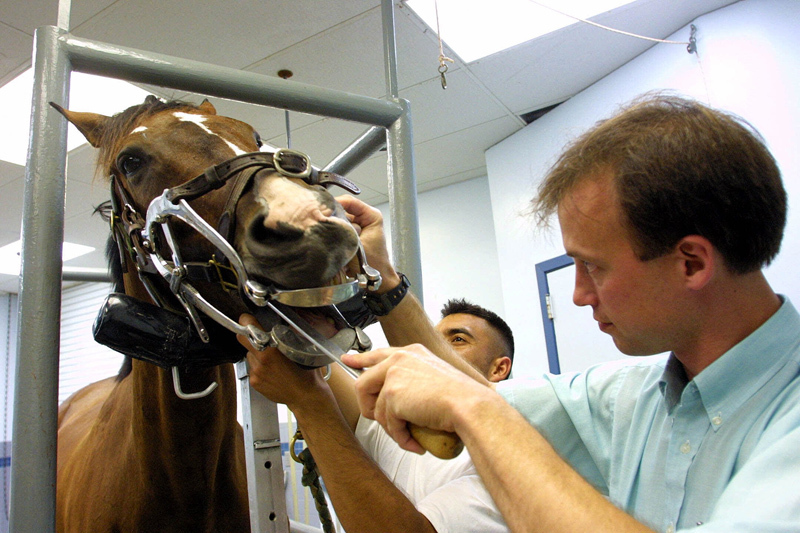 A four-year undergraduate degree is a must before securing admission in the veterinary school. The veterinary course is of four years’ duration. Any individual desirous of pursuing a veterinary science course should take up biology, mathematics and basic science courses in high school. High SAT scores will enable the student to secure admission for a good undergraduate course in a reputed institution which will prepare the student to enter into a quality veterinary school. Biological science and animal health are popular subjects of choice among undergraduate students who want to pursue a course in veterinary school. Courses in humanities and English are also recommended. 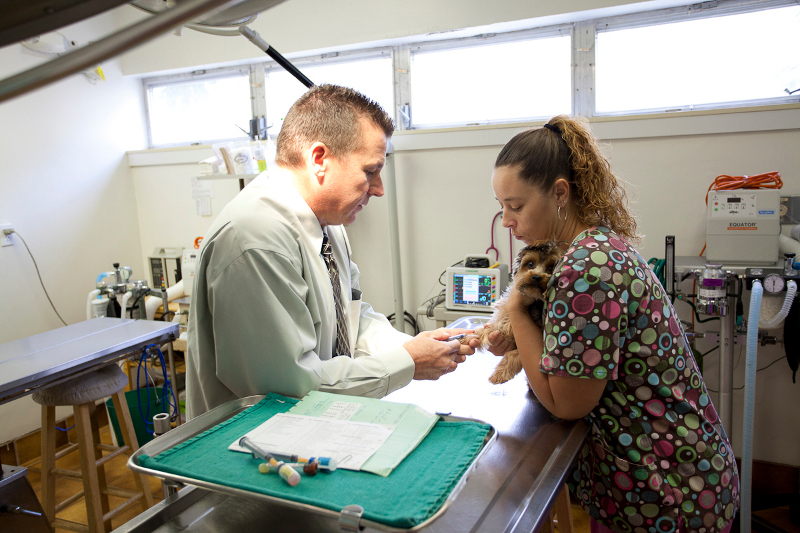 Students who graduate from a veterinary school are armed with a Doctor of Veterinary Medicine (DVM) degree. All graduated veterinarians must clear a board certification examination to obtain a license and be able to practice in the field. Some graduates choose to enter an internship program that gives them the experience required to pursue the profession in a full-fledged manner. They can choose to specialize in a specific stream by doing a related postgraduate or doctoral program. Regulations vary by the state. For this reason, veterinarians may be required to clear a state-level jurisprudence examination that covers regulations and laws of the state where they intend to set up practice. Veterinarians have to be prepared to work long hours in a noisy environment. Veterinarians stand the risk of being scratched or bitten by frightened animals when treating them. They should also be in a position to handle emotional and demanding animal owners. They have to be ready to work in unsanitary conditions among animals and may have to work outdoors braving all types of weather. They may have to work in weekends, off-duty hours and night-times when they have to attend to emergencies. Additionally, they may be required to squeeze in new appointments without prior notice. Veterinarians who work in non-clinical settings usually work in clean environments and their working hours are much like other professionals. Job opportunities for veterinarians are expected to increase considerably (up to 33 percent) in the next few years. More diverse job opportunities in advanced fields are expected to be available for veterinarians. Welcome to our veterinary clinic. We strive for excellence in veterinary care for all the animals we treat. Our veterinary clinic boasts the most affordable and friendly service in Riverside County. Our compassionate approach and expert veterinary skills are second to none. We understand your pet is just another member of the family and so gets the dignity and respect it deserves. Our place is not an ordinary veterinary clinic, it is a special place where animals become well and are treated with love, kindness and expert medical care.